A Z-Move is a special type of move in which a Trainer and their Pokémon’s wishes combine to unleash a very powerful attack. These moves can only be used once per battle. A Z-Move is not an extra move the Pokémon learns, but powers up one of the moves the Pokémon already knows. There are 18 different Z-Crystals that correspond to each of the 18 types, and several others that correspond to specific Pokémon. Z-Moves work by powering up one of the Pokémon's normal moves, so the Pokémon must also know an appropriate move. For the type-related Z-Crystals, the Pokémon must know a move of the same type as the Z-Crystal it is holding. For the Pokémon-specific Z-Crystals, the move required differs for each Pokémon. A Z-Ring is also required in order to perform Z-Moves. A Pokémon can only use a Z-Move if its Trainer is wearing a Z-Ring and has the same Z-Crystal its Pokémon is holding. The Pokémon is holding a Z-Crystal. The Pokémon knows a move that corresponds with the Z-Crystal it is holding. The Pokémon’s Trainer is wearing a Z-Ring with the same Z-Crystal the Pokémon is holding. To find all Z-Crystals, you can check out our Z-Crystal Locations guide. When the Z-Move option is chosen in battle, a list of Z-Moves overlays the Pokémon's original list of moves, with each compatible move of the Pokémon's original moves overlain by a Z-Move option that draws upon that move. 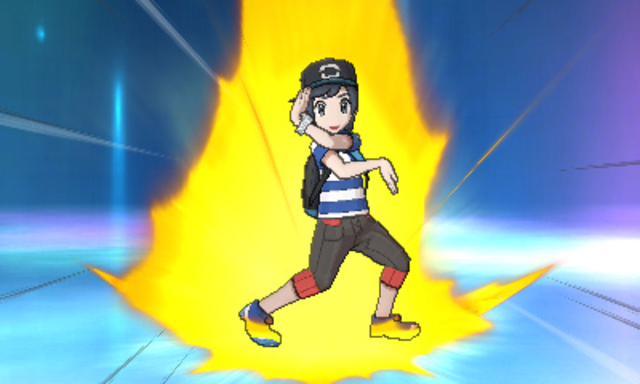 If the Pokémon knows more than one compatible move, it will be able to choose among different versions of the Z-Move with different stats, with the instance that has the highest power sparkling. Z-Moves can only be used once per battle and draw upon the PP of the Pokémon’s original moves in order to execute, requiring and consuming PP upon use. Mega Pokémon cannot use Z-Moves, even when holding an appropriate Z-Crystal (such as after Transform). Damaging Z-Moves derive their category (physical or special) and power from the original move. For example, a Gigavolt Havoc based on Nuzzle (with a power of 20) will have a power of 100 and be a physical move, while one based on Thunderbolt (with a power of 90) will be a special move with a power of 175. Damaging Z-Moves bypass accuracy checks to always hit, unless the opponent is in the semi-invulnerable turn of a move such as Dig or Fly. Z-Moves based on status moves are enhanced versions of the original moves, having a Z-prefixed to the start of the status move’s name. 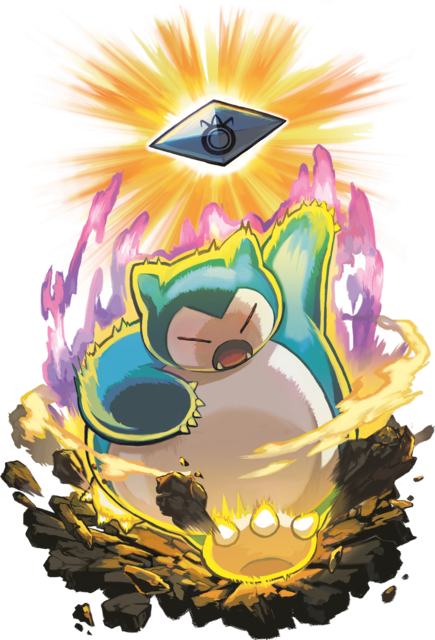 While they have the effect of the original status move, the user also receives the effect of Z-Power, which is executed before the move itself. For example, Z-Splash also boosts the user’s Attack by 3 stages, while Z-Parting Shot also restores the switch-in ally’s HP by 100%. These effects are not affected by the Abilities Contrary and Simple, or the move Heal Block. Exclusive Z-Moves can be used only be specific Pokémon, and require a specific move to be upgraded. They have a fixed category and power. Exclusive Z-Moves can be used by a Pokémon transformed into an appropriate species regardless of its original species, if it holds the corresponding Z-Crystal. However, a transformed Pokémon cannot use its own species’ exclusive Z-Move unless it is transformed into another Pokémon of the same species. Protection moves (such as Protect and Spiky Shield) cannot fully protect against damaging Z-Moves. Instead, they will deal 25% of the original damage. Status Z-Moves can be blocked by protection moves, but will apply their Z-Power effect regardless. Z-Moves may be used without regard to the effects of Taunt, Torment, Disable, Encore, Imprison, and Heal Block. However, the Pokémon never has an opportunity to select a Z-Move if it is forced to use Struggle (e.g. if it’s affected by Taunt and only knows status moves). Even if the target of Z-Heal Pulse or Z-Floral Healing is affected by Heal Block, that Pokémon’s HP will still be restored. Z-Moves are affected normally by Powder and weather. Weather-changing moves turned into Z-Moves (except Defog) will fail as usual during heavy rain, extremely harsh sunlight, and a mysterious air current, but will apply their Z-Power effects regardless. 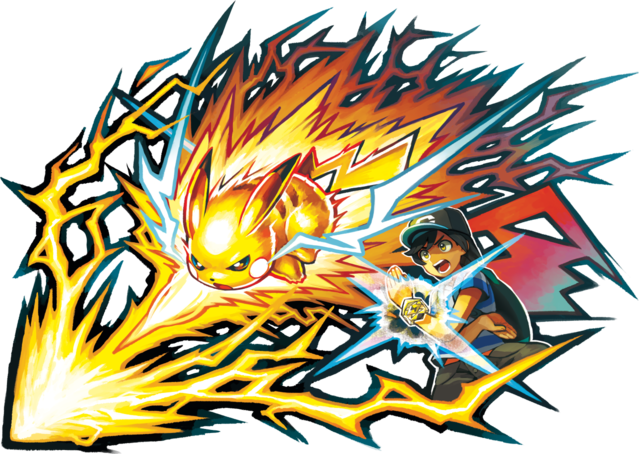 The types of damaging Z-Moves are unaffected by type-modifying Abilities (although status Z-Moves’ types are). However, their types are affected by Ion Deluge (if the Z-Move would be Normal-type) and Electrify. Despite only being able to be used once per battle, Z-Moves can be disable by Cursed Body. If this occurs, the move that was upgraded into a Z-Move is unaffected.